Right, so you have decided it is time to get a garden shed, right? That’s great but it’s not as simple as that. You have to decide what size you need, what features you require, where to put it, your budget and if you are going to put it up yourself or not. So I have put together this guide for you on how to choose a garden shed to meet your needs. But we want to help YOU avoid that hassle. 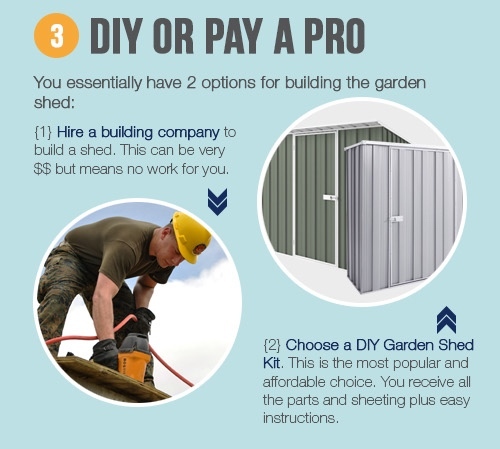 With all the things to consider it can be fairly overwhelming, we have created the following article to take you through step by step of what to think about before actually BUYING your garden shed. Assess your backyard and all its features and decide on the safest, practical location for your shed to go. Can you access it easily? Will it not take up too much room? Decided on what size you need goes hand in hand with the location. What you are storing and how big a shed you need will determine where your shed CAN go. One way of deciding what shed size you need is measuring the item you need to store and selecting a shed that will house it comfortably. If you have more than one item combined their measurements, specifically the width which will take up floor space, and work with that for your approximate size requirements. Please note that you need to keep about half a meter of space around the items in the shed, so you can get them easily in and out, so add that into the equation when you figure it out. Will you hire a building company to build a shed? They can provide you with designs and options of what they provide and come to your property to carry out the service. This can be costly, but if you need something very large or customised you can choose this option. The other option is opting for a DIY Garden Shed Kit. DIY Garden Kits are a popular and affordable choice in Australia currently. You can choose from a huge variety of pre-designed sheds, have it delivered and put it up with family or friends (or ask the local handyman to do it). These sheds are designed to the DIY market and come with easy instructions. In today’s world, we are spoilt for choice for garden sheds. You can now buy them online and choose from a variety of sheds from steel, resin or timber. Gable roof. This provides extra storage space for large items. Also great if you are going to spend a fair bit of time in the shed when a bit of headroom will help with comfort. Finally, it also allows water to run off if you have opted for a freestanding shed exposed to the weather. Flat roof. If you are opting for a small shed to go against the home this works great for fitting under the eaves. It also provides an extra shelf on top of the shed if it is not exposed to the elements. 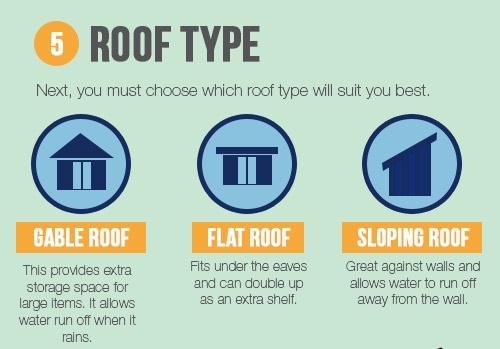 Skillion or Sloping roof. These are perfect for sheds built against the wall of a home, but may still be exposed to weather. The slope provides water runoff away from the wall and of course it also provides some extra height at the back from any longer or awkward items which need storing (surfboards). 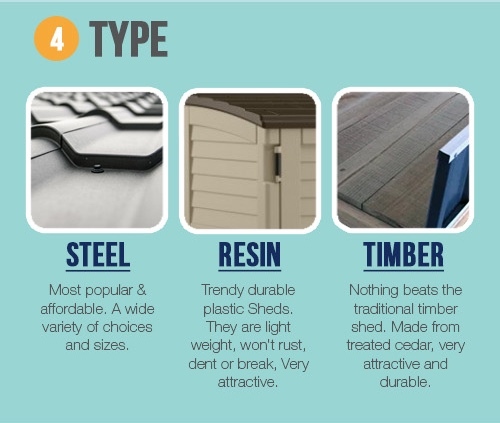 Just like choosing the design of the shed, you also have a range of colours to choose from, particularly when it comes to steel sheds. 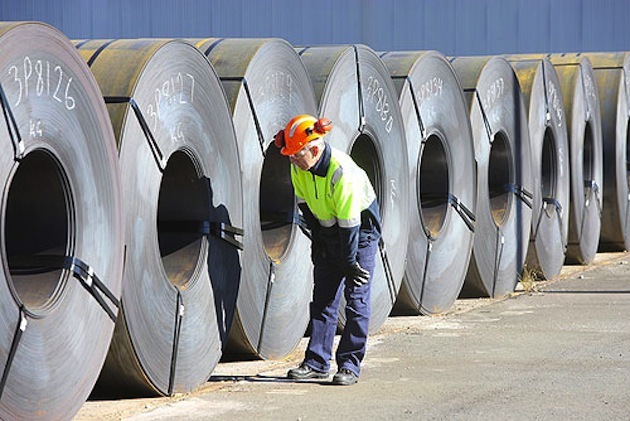 Zinc Steel: This is the standard metallic colour you often see. This is generally cheaper than colour steel but is exact same quality and durability. The only difference is the look and price. It’s the best choice for customers on a budget. Colour Steel: Choosing a colour for your garden shed is always a bonus because you can match it to its surroundings or add a little colour to your backyard. If you do have the extra budget to opt for a colour, we recommend doing so. Lastly, and something important people forget to consider when buying a shed. It’s something they forget about until installing their shed. And that is Accessories and Upgrades. Sometimes it is a great idea to add a window or skylight to your garden shed, maybe even some shelving or tool holders. You can sometimes increase the wall height or change the door types as well. So it is worth looking into. Depending on the Garden Shed brand you have chosen, make sure to check out the accessories and upgrades available for the product and consider if any of them will be important to you in the finished product. Most sheds will come with a latch of some sort for you to use a padlock to secure the shed. You may be required to purchase the padlock yourself, but keeping your outdoor shed securely locked when you are out is essential. If your shed design has not come with a latch of some sort, you can easily get one from the local hardware store to install. And that’s it! You should now have enough information to help you choose the RIGHT garden shed for your backyard. I just wanted a listing of your sheds please. I can’t find one. Your website takes me round and round without actually showing your range of sheds and prices. So it’s impossible to choose a shed….